Back in 2015, Patrick Beverley visited the Dual Language Middle School in NYC to talk and play ball with the kids. Kevin Durant and Patrick Beverley are both ejected after receiving their second technical fouls against each other. Placed on the inactive list for one game (11/1/13) and DND two games (11/2/13-11/4/13) with a partially torn muscle in his midsection … again placed on the inactive list for 14 games (12/23/13- 1/18/14) following surgery on Dec. 23 to repair a fracture in his right hand … DND one game (2/12/14) with an abdominal strain … DND four games (3/29/14; 4/4/14-4/8/14) and NWT two games (4/1/14-4/2/14) with a right knee injury … again placed on the inactive list for 1 game (4/9/14) … totaled 19 points (6-13 FG, 3-8 3FG, 4-4 FT) to go along with four steals and two blocks vs. the L.A. Clippers (11/9/13) … registered 12 points (4-8 FG), nine rebounds, five assists, three steals and one block in a career-most 42:21 of action at Philadelphia (11/13/13) … netted 17 points (5-7 FG) off a career-high five 3-pointers (5-8 3FG) vs. Minnesota (11/23/13) … picked up 12 points (4-10 FG) and eight boards in 41:54 of action vs. Phoenix (12/4/13) … pulled down a career-high 11 rebounds at Portland (12/12/13) … tallied nine of his 16 points (7-9 FG) in the fourth quarter of a 116-112 win at Golden State (12/13/13), including a pair of buckets to cap a 9-2 run in the final minutes to put the Rockets ahead for good … suffered right hand injury at Detroit (12/21/13) … returned to the lineup vs. Portland (1/20/14) after missing 14 games and collected 17 points (5-11 FG, 3-8 3FG) … dished a season-high eight assists in a 119-98 win vs. Sacramento (1/22/14) … recorded 10 rebounds, a season-high-tying eight assists and a career-best five steals in a 106-92 win vs. Cleveland (2/1/14), but failed to register any points … became the first NBA player with at least 10 boards, eight assists, five thefts and no points in a game since steals became official in 1973-74 … netted 15 points (6-12 FG, 3-5 3FG) and had a career-best three blocks at Milwaukee (2/8/14) … scored a career-high 20 points (6-12 FG, 7-8 FT) at Phoenix (2/23/14), including 12 fourth-quarter points (3-5 FG, 1-1 3FG, 5-6 FT) in a 115-112 comeback win over the Suns … collected 19 points (6-15 FG) behind a 5-of-9 outing from beyond the arc vs. Detroit (3/1/14), matching his career high for 3-pointers made … added 19 points (6-12 FG) on another career-best 5-of-8 from downtown in a 106-103 win vs. Miami (3/4/14) … suffered a broken nose at Orlando (3/7/14) … totaled 19 points (6-9 FG, 5-5 FT), seven rebounds and three assists in a 124-86 win vs. Utah (3/17/14) … had 14 points (5-10 FG, 4-7 3FG) vs. Minnesota (3/20/14) … picked up 15 points (6-12 FG, 3-9 3FG) and five assists at Cleveland (3/22/14), giving him double-figure scoring in four consecutive games to set the longest such streak of his career … suffered a right knee sprain in the first half vs. Philadelphia (3/27/14) and did not return to the game … Matched his career-high of 20 points (6-12 FG, 4-8 3FG, 4-4 FT) vs. New Orleans (4/12/14). 2012-13: In his first season with Houston, averaged 5.6 points, 2.7 rebounds, 2.9 assists and 0.90 steals in 41 games … placed on the inactive list for four games (1/8/13-1/12/13) … was a DNP (CD) for three games (1/30/13-2/2/13; 2/6/13) … signed by the Rockets as a free agent on Jan. 7 and assigned to Houston's single-affiliation NBA D-League partner Rio Grande Valley … recalled from the Vipers on Jan. 14 … averaged 13.7 points, 7.0 assists, 6.7 rebounds and 2.00 steals in three starts with Rio Grande Valley … made his Rockets debut vs. the L.A. Clippers (1/15/13), recording three points (1-1 3FG), one assist and one steal in just 1:45 of action … picked up a career-best three steals at Indiana (1/18/13) … netted 11 points (2-3 FG, 6-8 FT) vs. Golden State (2/5/13) … totaled six points (3-6 3FG), eight assists and five boards at Sacramento (2/10/13) … collected nine points off a 3-of-4 night from beyond the arc at Brooklyn (2/22/13) … scored a career-high 15 points (6-9 FG, 3-5 3FG) at Washington (2/23/13) … recorded 13 points (5-7 FG, 3-4 3FG) and six assists at Orlando (3/1/13), which included scoring 10 points (4-5 FG, 2-2 3FG) and nabbing a career-high-tying three steals in the fourth quarter of a 118-110 win … registered nine points (5-6 FT) and a career-high seven rebounds vs. Dallas (3/3/13) … handed out another seven assists at Dallas (3/6/13) … matched his career-best three steals vs. Phoenix (3/13/13) and three thefts vs. Utah (3/20/13) … added 11 points (4-7 FG), five assists, four rebounds, one steal and one blocked shot vs. Cleveland (3/22/13) … recorded 11 points (4-6 FG, 2-3 3FG) in a 96-95 win vs. San Antonio (3/24/13) and made one of the key plays of the game by blocking a layup attempt by Danny Green with 1:24 left to play … marked his sixth double-digit scoring game of the season … made a career-high two blocks at Memphis (3/29/13) … topped Houston with a career-best nine assists at Denver (4/6/13), adding seven points (3-3 FG, 1-1 3FG). Joined the Rockets from Spartak St. Petersburg in Russia, where he earned Eurocup MVP for the 2011-12 season and 2012 All-Eurocup First-Team honors … played two seasons at Arkansas before leaving school to sign a professional contract with BC Dnipro of the Ukrainian UBL for the 2008- 09 season … drafted by the L.A. Lakers in the 2009 NBA Draft and later traded to Miami, but decided to stay in Europe and signed with Olympiakos in Greece on Aug. 26, 2009. Originally drafted by the L.A. Lakers in the second round (42nd overall) of the 2009 NBA Draft and later traded to Miami … signed by the Heat on Aug. 2, 2010 … waived by Miami on Oct. 25, 2010 … signed as a free agent by Houston to a multi-year deal on Jan. 7, 2013, and assigned to Rio Grande Valley of the NBA D-League ... recalled by the Rockets from the Vipers on Jan. 14, 2013. Was a 2008 Wooden Award and Naismith Trophy candidate … started 33 of 35 games as a sophomore, ranking first on Razorbacks in rebounding (6.6 rpg), steals (1.3 spg) and 3-point percentage (.378) … was also second on the team in points (12.1 ppg) and third in assists (2.4 apg) in 2007-08 … was named SEC Freshman of the Year and earned Second- Team All-SEC honors in 2006-07. 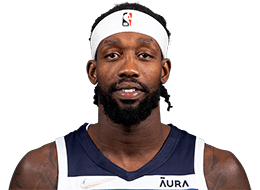 Born Patrick Beverley on July 12, 1988, in Chicago, Illinois … son of Lisa Beverley … helped his mother open her own nail salon studio in Houston even before signing with the Rockets … featured in the 2007 documentary Hoop Reality, which is the sequel to the 1995 documentary Hoop Dreams … as a senior at John Marshall Metropolitan High School, he led the state in scoring (37.3 ppg) and was named Co-Player of the Year … selected to play in the Roundball Classic on April 8, 2006, a national All-Star Game played at United Center in Chicago.